Sharpless 2-82 in Sagitta is a combination HII region and reflection nebula, also known as LBN 29. It is illuminated by a B0 star and is1100 pc distant. 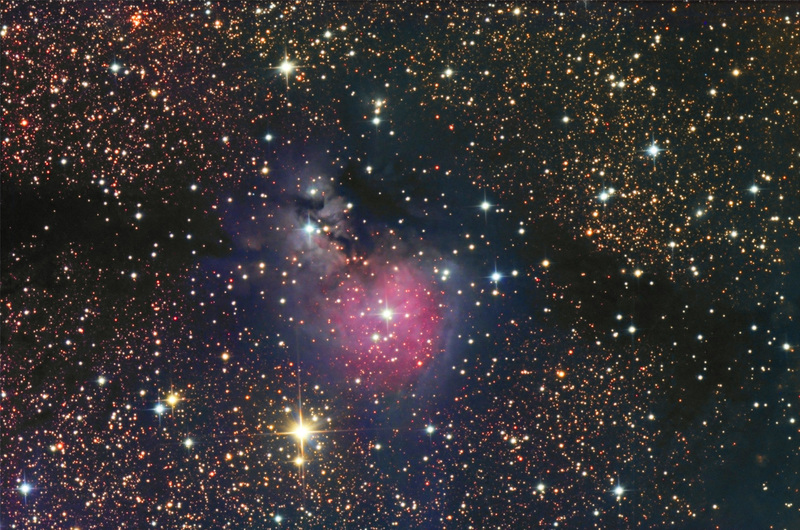 Similar to the Cocoon and Trifid Nebulae, there are occluding dust filaments over the HII region, surrounding blue reflection and a larger-scale dark lane running through the region.